The doctors return to do more science research on the nation's behalf. They discover whether is it possible to bust belly fat and how protective sun cream actually is. As the sun comes out (or not!) the doctors are back doing science research on our behalf. 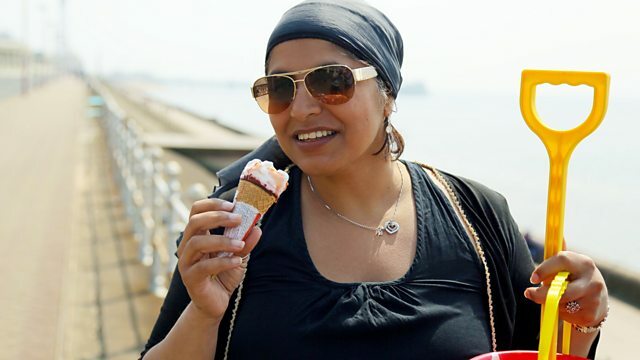 While we prepare to bare our bodies on the beach, Dr Saleyha Ahsan and the University of Oxford test whether it is really possible to bust belly fat, and skin surgeon Gabriel Weston takes a special camera on the streets to see how protective sun cream actually is. Dr Chris van Tulleken tests how cheap a pair of sunglasses we can buy and still be assured protection from damaging UV light. And as the warmer weather tempts more of us to do some exercise, GP Zoe Williams makes a guest appearance to test what it's really doing for our health, whilst Michael Mosley investigates some surprising ways to get the benefits of exercise without doing any at all. How can I get rid of belly fat? We put four methods to the test: does anything really target belly fat? Is it possible to get stronger just by thinking about exercise? The bizarre truth about 'motor imagery' and how to use it. The difference between heat exhaustion and heatstroke and how to spot and treat them. Could having a hot bath give some of the benefits of exercise? Michael Mosley steps into the hot tub in the name of science - with surprising results. Can you get the benefits of exercise by having a hot bath? Could having my muscles stretched have health benefits? Michael Mosley submits to being stretched - revealing what it does to our metabolism. What does sunlight do to skin? Michael Mosley interviews experts with different opinions on the benefits of sunshine. What effect does physical activity have on your health? What effect does taking 10,000 steps a day really have? We do an experiment. Do cheap sunglasses protect my eyes from UV? Do £1.50 sunglasses really offer any protection from the sun? What to do if you're stung by a jellyfish: the latest research. How to bust the belly fat: the truth! Everything we’ve covered, organised by broadcast and common theme.